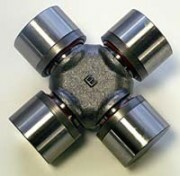 Universal Joints & Cross and Bearings - Weasler Engineering, Inc.Weasler Engineering, Inc. 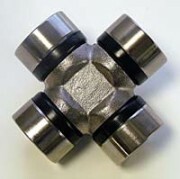 The cross and bearing kit is the core of the PTO drive shaft and care should be taken to determine the correct style and size for the application. Weasler offers a wide variety of plain bearing kits, standard agricultural kits, extended lube kits, bushing lube kits, constant velocity kits or vehicular kits to meet customer needs. Whether the requirement is for high speed, high torque, long life or ease of maintenance, Weasler has the cross and bearing kit to meet application specifications.